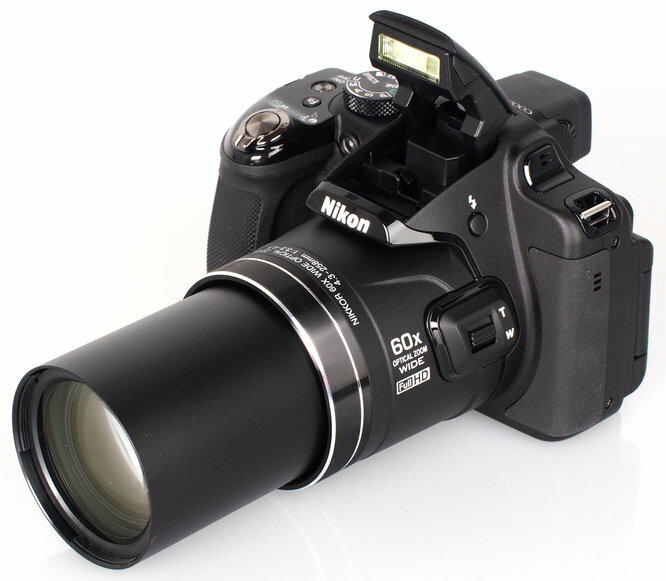 The Nikon Coolpix P600 was announced in February 2014 and is a bridge camera which features a 60x optical zoom lens, tilting LCD screen, electronic viewfinder and built-in Wi-Fi. It is available in black and red and costs around £376. 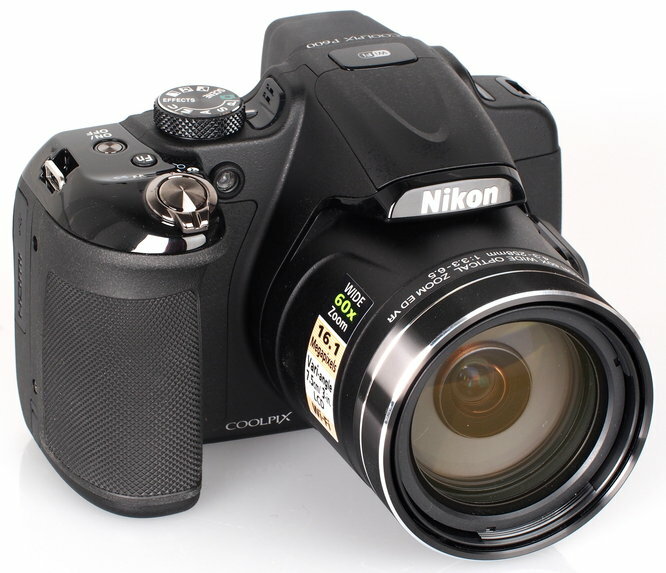 The Nikon Coolpix P600 has a 16.1 megapixel back-illuminated CMOS sensor and a 60x optical zoom lens, which is a 35mm equivalent of 24-1440mm. There is optical image stabilisation to help reduce blur and camera shake, the lens has a minimum focusing distance of just 1cm for macro shots and the P600 can shoot full resolution images at 7 fps for up to 7 shots. The P600 has an auto mode which adjusts the settings automatically for the detected scene, with the camera choosing from 21 scenes. There is an auto HDR mode which combines two different shots taken at different exposures, the Easy Panorama mode shoots 360° and 180° panoramas by simply panning the camera. The P600 has a 3.0 inch 921k dot vari-angle LCD screen and a 0.2 inch 201k dot EVF. It also has built-in Wi-Fi allowing you to use a smartphone or tablet as a remote control or so you can edit and share your images. You can also use the GPS from your mobile device to geotag images. Images can be edited via playback using the retouch menu where there is a number of effects such as soft portrait and photo illustration. Videos are recorded in full 1080p HD with stereo sound and optical zoom available. 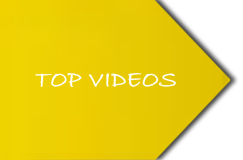 You can also record fast or slow motion videos. 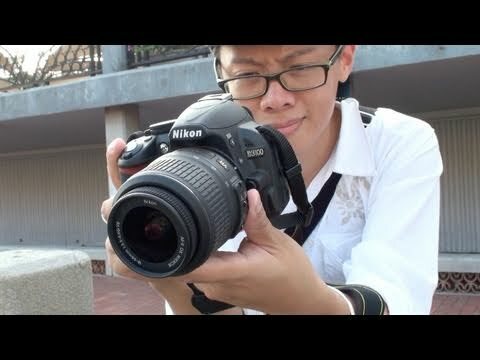 The Nikon Coolpix P600 looks and feels like a small DSLR camera. 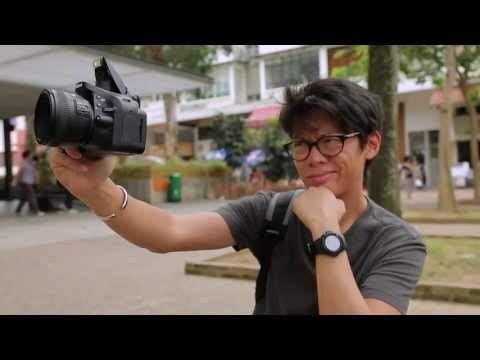 It has a decent sized rubberised handgrip, with a rubberised patch on the rear for your thumb and another rubberised area on the other side of the camera – all of which aids grip. On top of the camera is the mode dial which includes access to the PSAM modes as well as auto, scene, effects, landscape, night portrait and night landscape. There is also a user settings mode so you can save your preferred camera settings. Also on the top is the zoom rocker, shutter release, on / off and fn buttons. The function button can be set to change the ISO, white balance, drive mode and more. On the side of the camera is a button which releases the pop-up flash, just down from there on the lens is a lever which offers an alternative way to adjust the optical zoom. Buttons on the rear include display, movie record, playback, menu and delete. 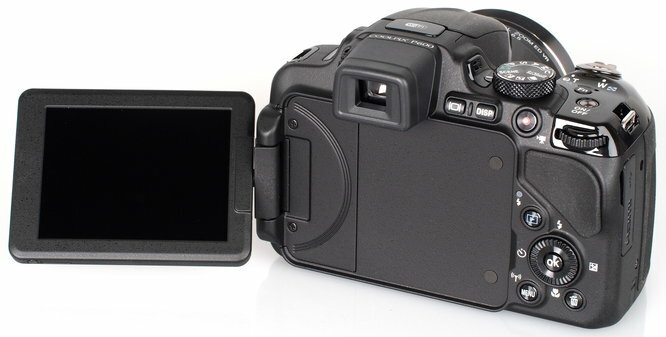 There is a button which switches between the LCD screen and the EVF, more on these to come. There is a dial to adjust shutter speed and / or aperture depending on which mode you are in. There is also a d-pad which had a rotating wheel for cycling through the menus. You can use the d-pad to access exposure compensation, macro mode, self-timer and the flash. The 3 inch screen can rotate to many angles, assisting when shooting with the camera high up or low down in particular. It has an excellent 920k dot resolution and is easy to view in bright sunlight thanks to its anti-reflective coating. When you fold the screen away the EVF automatically activates. The EVF is bright and comfortable to use, the resolution of 201k dots is OK, but could be higher. Battery life is rated at 330 shots according to CIPA test results, which is good for a bridge camera. We took a number of shots to test the camera’s responsiveness, from switch on to first photo, shot to shot, focusing speed etc. We take a number of shots and then use the average to ensure accurate and consistent tests, making it easy to compare with other cameras.